Politics • John Curtis still plans to lead the city while he runs. Tribune File Photo Provo Mayor John Curtis discusses the Google Fiber network at a public question and answer meeting at Provo's | Courtesy Provo Mayor John Curtis. 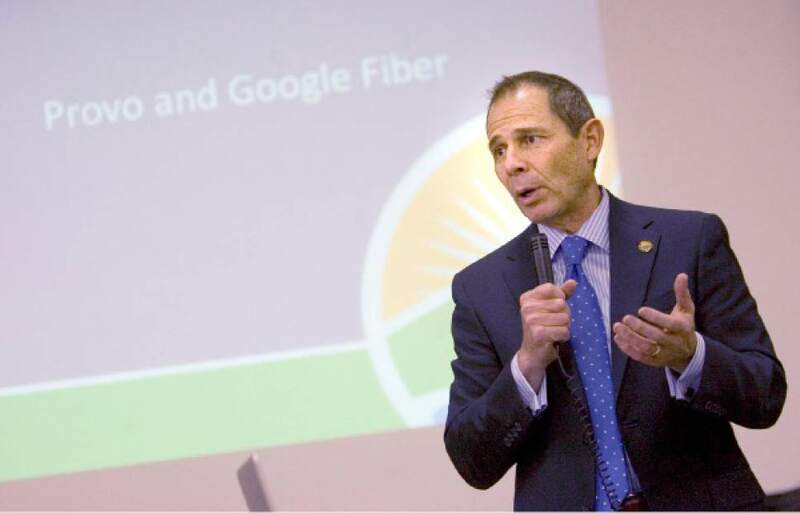 Tribune File Photo Provo Mayor John Curtis discusses the Google Fiber network at a public question and answer meeting at Provo's Edgemont School on Thursday, April 18, 2013. | Courtesy Provo Mayor John Curtis. 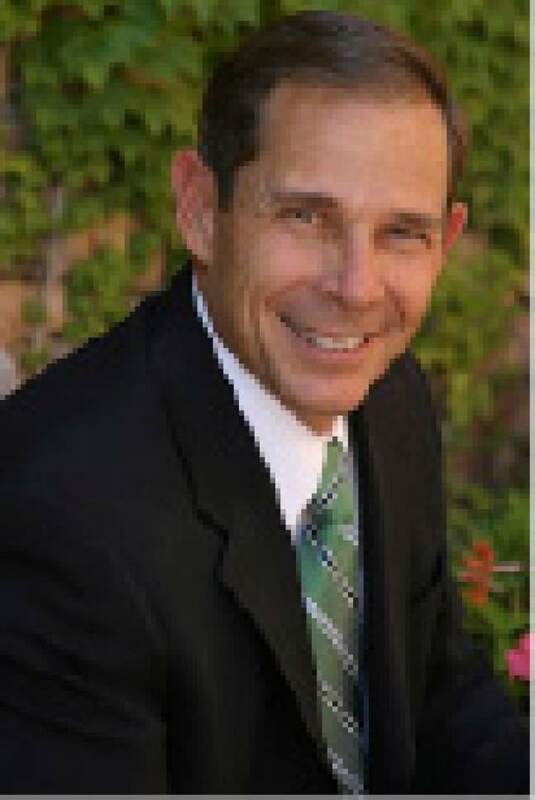 After weeks of deliberation  and a bit of hesitation  Provo Mayor John Curtis decided to add his name Thursday to the mounting list of candidates dashing to fill Rep. Jason Chaffetz&apos;s soon-to-be-vacated congressional seat. "It was very important to me to know in my heart that this was the right thing to do," he explained. Curtis, who&apos;s finishing his eighth year as mayor of the state&apos;s third largest city and will not seek re-election, is popular among Provo residents and an early favorite among Republicans. He submitted his paperwork on the next to last day for candidates to file in the special election. "I didn&apos;t want to run to just run," Curtis said. "I wanted to run because I brought something." An April survey from Y2 Analytics  which is now working for Curtis in the race  listed the mayor with a high favorability ranking (62 out of 100) by Republicans in the 3rd Congressional District, leading pollster Scott Riding to say the mayor would have "an edge among early contenders." David Magleby, a Brigham Young University political science professor, also said Curtis has more name recognition and is more "visible" than the several state lawmakers in the race. Before his membership in the Elephant Club and his term as a Republican delegate, Curtis was for a short time registered as a Democrat when he ran and subsequently lost a bid against state GOP Sen. Curt Bramble in 2000. Still, Curtis&apos; anti-abortion, pro-gun rights platform was typically GOP with a nod to moderate politics. He later returned to the Republican Party and launched a special election campaign for retiring state Rep. Jeff Alexander&apos;s seat in 2007. Though he had one more delegate vote than Chris Herrod  a former state representative also running for Chaffetz&apos;s seat  Curtis was not appointed by the governor. After that, Curtis turned his attention to local government. He won his first term as Provo mayor, a nonpartisan office, in 2009. He&apos;s worked to improve the city&apos;s economic development and downtown vibrancy, as well as launched clean air and recreation initiatives. Curtis will continue his current post as he campaigns for Congress. "Being mayor is kind of 24/7. I&apos;ve always given my residents 60 or 80 hours a week," he said. "It may be pushed back down to 50 or 60 hours [while I run]. But they can be assured they can still get everything they need from me. My head will still be in the game." As Chaffetz departs June 30, Curtis joins several Republicans with eyes on the seat: state Sens. Deidre Henderson and Margaret Dayton; state Rep. Brad Daw; Herrod; investment adviser Tanner Ainge (son of Boston Celtics General Manager Danny Ainge); lawyer and military veteran Stewart Peay; and Brigham Cottam, who is a field producer at National Geographic, according to his LinkedIn page. Republican Damian Kidd has announced his intentions to run but has not filed. Three Democrats are also in the race: physician Kathryn Allen (who&apos;s amassed $550,000 in donations), progressive candidate Ben Frank and activist Carl Ingwell. Curtis says he brings experience, engagement and effectiveness to the competitive field. He also notes that he did not vote for President Donald Trump  something Chaffetz has faced backlash over in recent months, especially as he has taken flak for going easy on the administration from his perch as head of the House Oversight Committee. "I wrote somebody else&apos;s name in, a good friend&apos;s name in," Curtis said of his vote in the 2016 election. "I want [Trump] to be successful. I need him to be successful. But he&apos;s got to earn it." Curtis plans to both participate in the caucus system and collect signatures. Getting the 7,000 necessary, he acknowledges, will likely be a challenge with the tight June 12 deadline. "Oh my goodness. Everybody tells me it can&apos;t even be done," he said. "Part of my personality is, I need to pursue every possible avenue and that&apos;s one of the avenues. So yes, it&apos;s going to be Herculean to get the signatures." Curtis had scheduled a three-week vacation to India with his wife, Sue, and one of the couple&apos;s six children. He&apos;ll stay behind to kick off his campaign and get to work knocking on doors  starting with a scheduled formal announcement of his bid Thursday evening in Provo.